The Indonesian government’s target to cut emissions by 26 percent before 2020 under the Reducing Emissions from Deforestation and Forest Degradation (REDD) scheme cannot be achieved unless the importance of forests is thoroughly understood. The Forestry Ministry’s environment and climate change expert Yetti Rusli this week said that talks among countries have not led to a strong grasp on forests’ role as carbon stocks. “Countries keep pressing us to prevent deforestation. They force us not to destroy our forests. In fact, curbing deforestation has been our policy since long time ago,” Yetti said from the sidelines of a REDD+ workshop organized by the office of UN’s REDD program in Bogor, West Java. While REDD offered incentives for developing countries to reduce emissions from forested lands, REDD+ also encouraged conservation efforts and sustainable forest management. 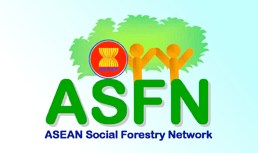 The Forestry Ministry said that the level of deforestation reached 3.51 million hectares per year until 2000. The 1997 economic crisis and mushrooming local regulations enacted by many regional administrations to self-manage their forests could be partly blamed for the high level of deforestation. The El Niño weather phenomenon, which caused drought-related wildfires in some areas in the country, had aggravated the problem. The high level of deforestation drew strong criticism at home and abroad, forcing the government to regulate deforestation. “Within only three years, we can reduce the deforestation level to 1.08 million hectares per year, from about 4 million hectares annually,” said Yetti, who also chairs the Forest and Climate Change Working Group (FCC WG) at the Forestry Ministry. At the G20 Summit in Pittsburgh in September 2009, President Susilo Bambang Yudhoyono pledged an emissions reduction target of 26 percent by 2020 with international assistance. Presidential Regulation (PP) No. 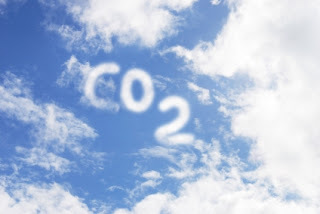 61/2011 on the national action plan on reducing greenhouse emissions (RAN-GRK) set measures to achieve the country’s 2020 emission reduction target. Rachmat Witoelar, the head of the National Council on Climate Change (DNPI), said that the regulation could be an effective REDD+ negotiation tool. “This regulation shows that Indonesia, as a developing country, has been proactive in conducting mandatory emissions reduction, as the international community wants to see,” he told The Jakarta Post. “Many countries have so far expressed intentions to reduce emissions. For Indonesia, it has become a policy of the state,” he added. At the 2007 UN Conference on Climate Change in Bali, participating countries adopted REDD+, which went further than offering incentives for preventing deforestation by encouraging other measures, such conservation, sustainable forest management and enhancing carbon stocks. This initiative allows the forestry sector to have a bigger role in the global effort to tackle climate change. “One thing that the international community has never wanted to know, however, is that we have a capacity to protect conserved forests, to undertake replanting and rejuvenation of cash crops, as well as conducting a sustainable forest management,” Yetti said. Forestry Ministry data shows that potential carbon stocks in Indonesian forests reached 92 million tons, while the potential for carbon emissions reached only 0.6 million tons per year. Yet many countries have not acknowledged the carbon stocks in Indonesia’s forests. They placed stronger emphasis on lowering climate risks through the development of green technology rather than conserving forests as carbon pools, Yetti said. “I think they should recognize our capacity in absorbing carbon emission by using planted trees, in conserving forests and in producing renewable energy that can replace coal and oil,” she said. Currently, renewable energy products such as wood pellets are seen as potential commodities from the forestry sector because they can produce energy that can rival medium-quality coal. Demand in Europe for wood pellets continues to grow after the Fukushima nuclear incident in Japan last year. “Germany even has stated that it won’t further develop its nuclear power plants and is considering a shift to renewable energy, including wood pellets, as source of energy in the country,” Yetti said, adding that pellets could come from sustainable crops such as albasia (Albizia falcata), kaliandra (Calliandra calothyrsus) and akasia (Acacia aneura) trees. She said that Indonesia should take advantage in such transitional period.